Literally called "The small bagpipe(band)" this band of enthoused amateurs has introduced the unique sound of the Flemish bagpipe to the public at many parades and parties. They're the little brother of De Grote Kornemuze, which can light the fire of even a 15,000+ audience in the Antwerp Sportpaleis. 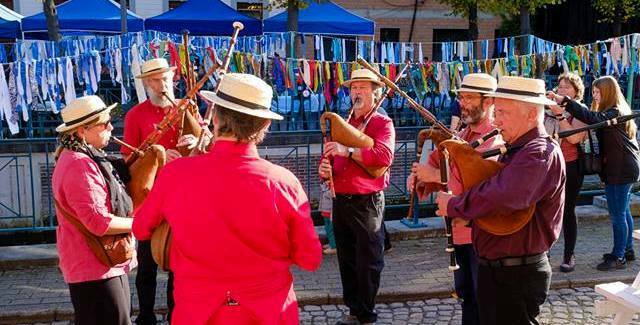 Folk musicians from Westerlo and surroundings, linked to Westelfolk, bring a varied programme of old and new folk melodies and dances, on traditional instruments like diatonic accordeon, flemish dulcimer, violin, recorder, hammered dulcimer and more.